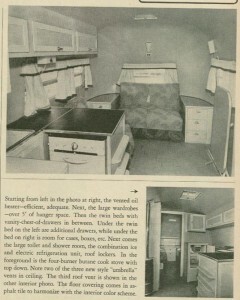 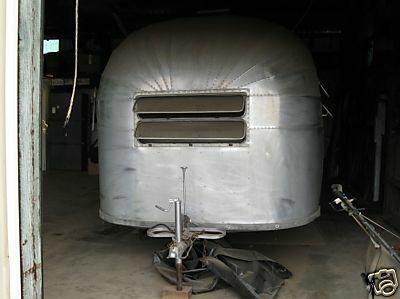 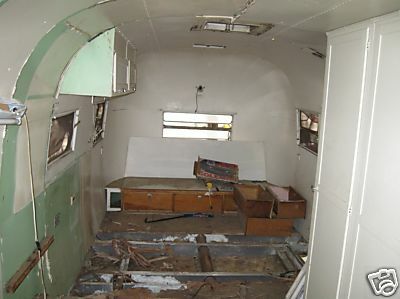 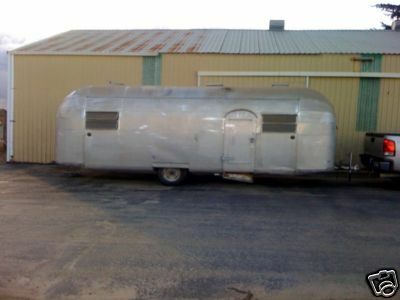 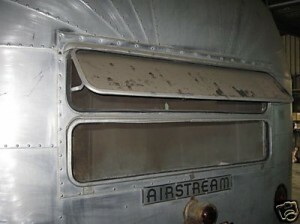 Introduced in the August 1949 issue of Trailer Travel magazine as the “Limited”, this new 24′-8″ long offering from Airstream was much wider and larger than the current offerings they had at the time, the 6′-8″ wide, 6′-3″ high interior Trailwind, Liner and Whirlwinds. 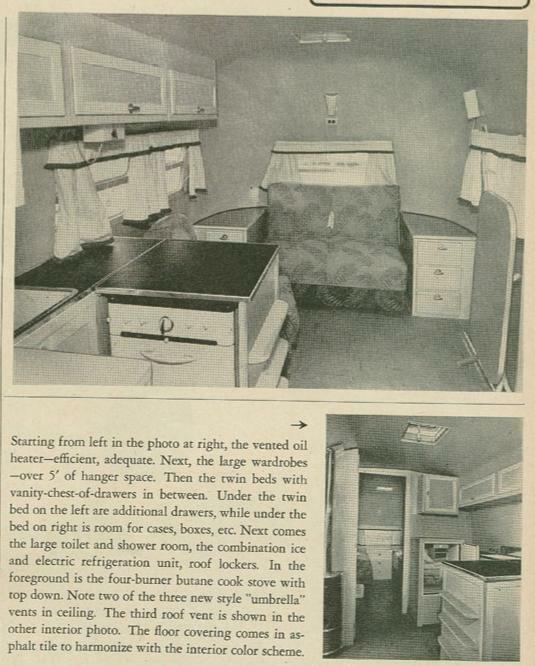 Even though it still sat on a pipe-frame chassis, the more boxy shaped trailer interior measured in at 7′-7″ wide and 6′-9″ tall. In mid 1950 the Cruiser would get the newer ladder box-beam chassis frame, and the overall length would grow some due to the A-frame tongue and rear bumper, and becomes a true 25′ trailer, but the width and height shrink back to the standard 1950’s of 7′-0″ wide and 6′-5″ high. 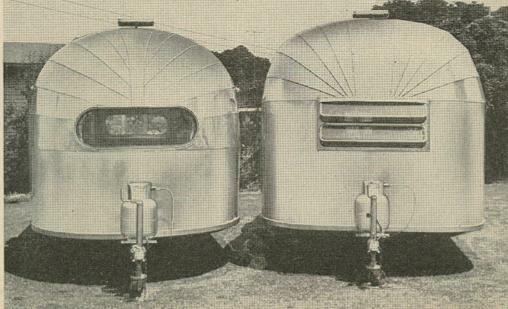 Considered the granddaddy to the classic era Overlander, this trailer line was the most successful in sheer quantities manufactured.